Crafted from a textured fabric, this feminine blouse features a cropped length, subtly pleated sleeves, and a tie-front design for a delicate touch. 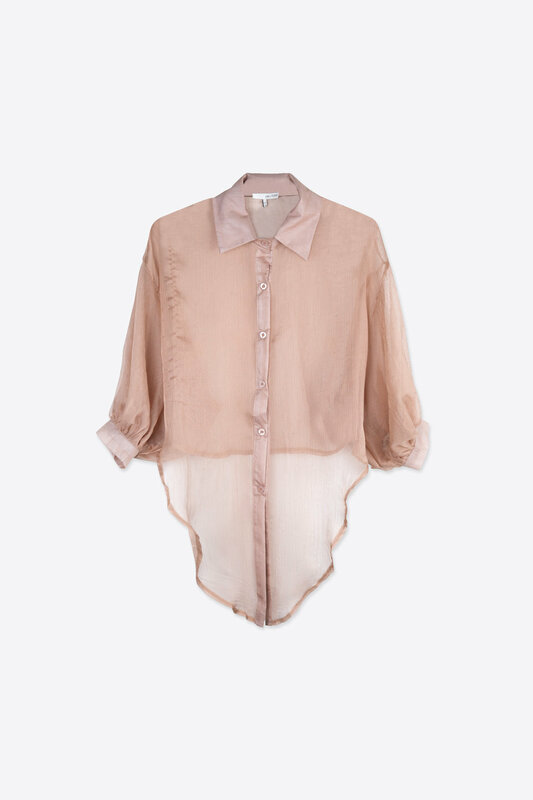 The sheer mauvey-pink gives this piece a sophisticated yet demure vibe. Layer over a bralette and style with a high-waisted denim skirt for an effortlessly chic look.